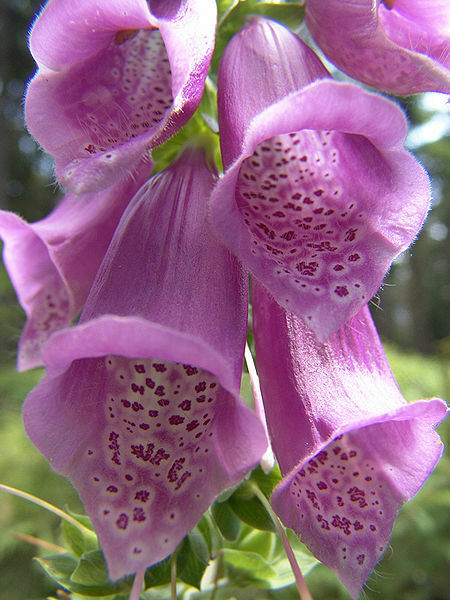 I couldn’t find pictures of red foxgloves. But this is what faerie hats look like, only red. 🙂 Attribution: W.J.Pilsak at the German language Wikipedia. When I told my husband about Irish faeries being in my book, I think it put him in mind of Tinkerbell and adventures in tiny faerie villages with smiling bugs for sidekicks. Irish faeries, aka The Good People, are not Disney-esque in the least and you must treat them with proper respect. If you don’t, you may regret it. This was a difficult post to write because I didn’t want to risk giving away too much of my story. Also, there are tons of different myths and ideas about the Fae Folk. It can be a fascinating study, and I highly recommend it. But here’s a general rundown of how I depict the faeries in The Stone of Kings. Most of the time, the faeries are invisible. If you are worthy enough to be able to see them, you’ll find that they disguise themselves to look like foxglove (or lusmore) flowers. Like the others, Jim Jam is tiny and green. He wears clothes styled like the aristocracy of 1715, but all in green hues. The only thing not green is his hat, which is tall and pointy like a foxglove blossom. It is specifically red, because red is a magical color in the faerie world. Jim Jam also has delicate wings which is an aspect that I chose to use for my book. Some of the faerie myths have them to be wingless. Each immortal druid deals with a specific faerie troope. Jim Jam is the chief of the troope that deals with Bresal. We really only see them at the beginning and the end of the story, but they are central to the plot, nonetheless. Like with the other druids, Jim Jam and his faeries have given Bresal his magical spells. But the law stands that he must not write down the spells. Jim Jam kind of knows that Bresal will break this law, and lets it happen. The Fae Folk don’t have failings, in my opinion. 😉 But if you want to call it a failing, they like to make trouble for people who don’t respect them. Jim Jam and his troope of faeries are extremely intelligent. They understand human nature better than humans themselves. They gift worthy people because they recognize how these people can make Ireland a better place than it already is. If you’ve ever been to Ireland, it’s hard to imagine it to need improvements (such a gorgeous country! ), but the faeries know how to pull it off. What are some faerie myths that you’ve encountered? Have you ever seen a faerie rath? Do you have a faerie inspired story to share? Join me this week for Wednesday Welcomes! We get a sneak peek at E.A. West’s brand new release, Pressure.